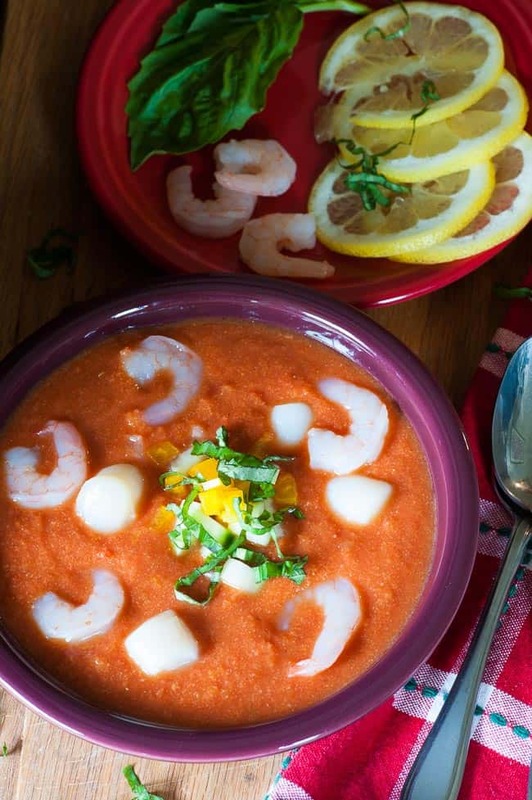 With summer upon us, I look for light refreshing meals such as this tasty seafood gazpacho. This is sure to be a hit with the whole family. Back in 2013 I did a gazpacho recipe and figured I should update it and add a little more adventure and taste to it. 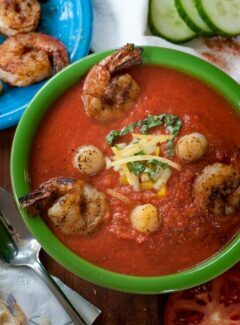 I ran across a recipe, (pretty popular one too), using shrimp and scallops in gazpacho and thought that would be a great flavor combination. The recipe said to steam the scallops and buy pre-cooked shrimp. See the picture above…I did try it. Easy peasy but it added zero flavor. When I decided to try again and bump up the flavor, I used the same bay scallops, but instead of steaming them, I gave them a nice golden crust by frying them. The texture and flavor improved 100%. The second attempt I used raw shrimp and fried them with a generous coating of Paul Prudhomme blackening seasoning. This is my number one favorite way of preparing shrimp. The shrimp are like a flavor bomb when cooked with the blackening seasoning. This gazpacho is also kicked up a little with the addition of some lemon juice and zest. This creates a perfect flavor compliment with the seafood. Try some gazpacho this summer and fry up some seafood for added flavor. 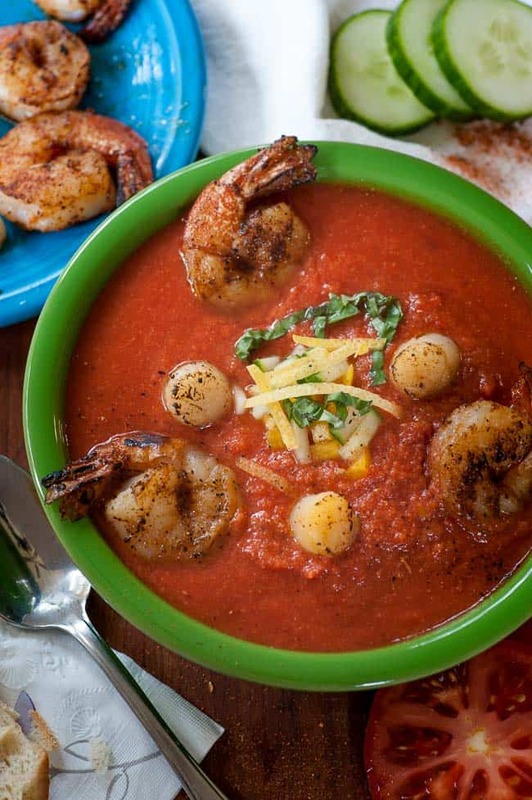 This is a perfect hot weather meal...cool gazpacho and spicy seafood. Place 1 can of crushed tomatoes in a food processor along with the cucumber, bell pepper, onion, garlic and bread. Pulse until pureed. Stir together the puree and remaining ingredients, minus the basil, in a large bowl. Refrigerate several hours or overnight to allow flavors to meld. (I found that the crushed tomatoes were fine enough to not have to puree all three cans. 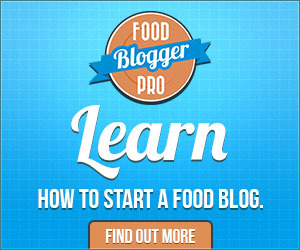 If you use a coarser diced or even whole tomatoes, you would want to puree them). Lightly salt and pepper the bay scallops and fry in a hot skillet with vegetable oil, about 3 minutes on one side until nicely browned and cooked through. Remove to a plate. Season both sides of the shrimp with a generous amount of blackening seasoning. Place in the hot skillet and cook the shrimp 2 minutes, turn and cook the other side until the shrimp is opaque, about 1 1/2 minutes. Remove to a plate. Serve the gazpacho cold with cucumber, pepper, onion, lemon zest and basil for garnish. Add the warm seafood and eat right away. Serve with a crusty bread. This was a perfect dinner on a hot night! 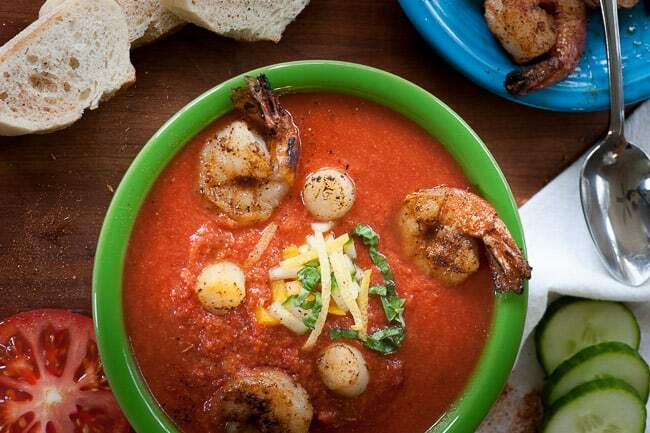 The shrimp has a lot of flavor that goes so well with the soup. This soup was the best I have had in a long time. It is so good I bet you don’t even have to cook it! Glad you liked it Alan.